Taking out a loan isn’t a decision you can take lightly, as it will have a paramount impact on your present and future financial situation. That’s why you should closely evaluate the options you have at your disposal before you go for it. Today, we will talk about unsecured personal loans. We’ll present their key features and the main scenarios in which taking one makes sense. An unsecured loan doesn’t have collateral or property to guarantee the loan if the borrower defaults. For instance, a mortgage loan is secured by the property. This means that if you don’t manage to repay the loan, the lender is entitled to sell the home to get financial compensation for the loss. Unsecured loans, however, don’t have a property or collateral of any kind. That makes them less of a risk to you – the borrower, and more of a risk to the lender. If things go bad and you don’t repay the loan, they don’t have access to one of your assets or properties. Of course, they can eventually take legal action against you if you don’t repay. Still, since unsecured personal loans are riskier affairs than secured ones, the interest rates are evidently higher. Of course, your credit score is paramount for the lender, as it showcases your reliability as a borrower. The better your credit will be, the lower the interest rate you’ll have to pay. The best thing about unsecured personal loans is that they enable you to borrow money for a wide range of purposes. You can use the finances to set up a business, buy a car, consolidate debt, so on and so forth. 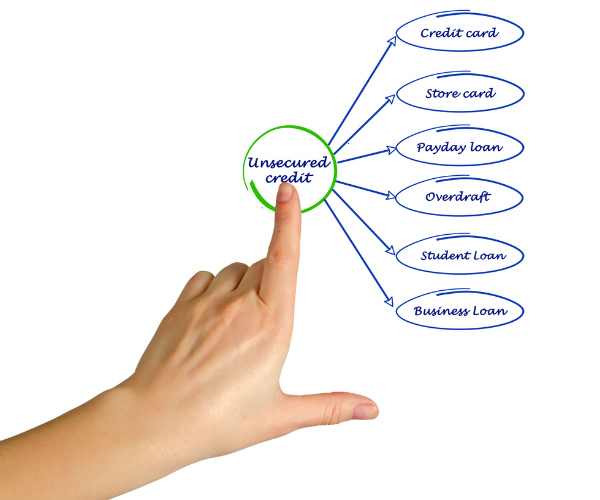 What Are the Best Uses for Unsecured Personal Loans? Vehicle Purchase. Many Aussies utilise unsecured personal loans to acquire a However, your choice of car shouldn’t surpass a certain amount, as the limit for unsecured loans is lower than in the event of secured ones. Debt Consolidation. If you have multiple loans troubling you, debt consolidation could give you some relief, minimising your monthly interest rates. Many lenders offer excellent alternatives in this department. A Holiday. If you want to enjoy a long holiday, an unsecured personal loan could help you in this respect. Home Renovations. Getting an unsecured personal loan for home repairs can be a wise choice when your aim is to maximise the value of your property. Thus, many Aussies take out this kind of loan for this purpose. Set Up A Business. Some lenders allow you to use an unsecured personal loan for this objective while others will require you to take out a specific business loan, instead. Student Loans. Some unsecured personal loans are designed especially for students, and they have flexible repayment terms and other benefits. When Shouldn’t You Use An Unsecured Personal Loan? Although unsecured personal loans can be used for numerous objectives, some aren’t always recommendable. I’ll outline the main situations in which you should postpone such a decision. If It’s An Valuable Investment. If you’re considering taking out an unsecured personal loan to do home renovations or any similar task, you should attentively analyse your situation. Will this investment add value to your property or the other way around? You have to consider that you’ll be making repayments for a considerable time frame, so establish if it’s worth the financial effort or not. If You Could Save Money. Let’s say that you want to relax on an extended holiday or you wish to buy a new car. But is that really urgent? Couldn’t it wait until you manage to save money for the purpose? If the matter isn’t quite urgent and you could save the money for your objective, perhaps getting a personal loan isn’t the commitment you should make. If Your Employment And Income Aren’t Stable. Unless you have a stable financial situation, taking out an unsecured personal loan is not an excellent decision. Although you don’t include collateral as security, if you default on the loan, the lender will take you to court, as I already mentioned. As you can see, unsecured personal loans have numerous uses. You have the flexibility to select the best use for your needs, which is an unmatched benefit. If you decided that you want to take out an unsecured personal loan but you haven’t selected your lender yet, make sure you check www.personalloanss.com.au. We make the borrowing process much easier and less stressful than our competitors. Our priority is to evaluate your needs and requirements and, afterwards, supply an offer you cannot deny.